Baby blankets don't belong in our babies' beds, so how do we keep them warm? There is no better way than a cozy baby sleep sack. Unfortunately so many of those on the market are made of synthetic materials that can cause the baby to overheat and actually increase the risk factor for SIDS. Woolino comes to the rescue by creating all natural 100% Australian merino wool baby sleep bags that keep baby warm at night in any season. Woolino merino baby sleep bags have a host of amazing features, from being super easy to clean to having a convenient harness slot to use during travel. It is compact and warm, perfect at home or on the go. Snaps on both shoulders and an inverted zipper make dressing and diaper changes easier. Underarm snaps make it adjustable to fit small babies. Your baby will be comfortable in a Woolino 4 Season baby sleep bag in temperatures ranging from 63 to 78 degrees Fahrenheit. It comes with a travel bag, room thermometer, and it is in a plastic-free, ready-to-gift package which makes it perfect for a baby shower or Christmas! 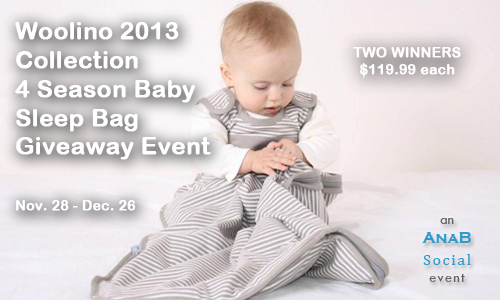 Purchase: The 2013 Collection Woolino 4 Season Baby Sleep Bags retail for $119.99 each, you can purchase it on the Woolino website. They also make toddler sleep sacks for kids 2 to 4 years old! The Woolino sleep bags are also available on Amazon. Win One! Woolino is blessing two of you with a 2013 Collection Woolino 4 Season Baby Sleep Bag in size 3 to 24 months, one reader will win Sage and another Spring (both gender neutral). Special thanks to AnaB Social for hosting this giveaway. Huge thanks to all participating bloggers as well! Giveaway ends December 27th at 12:01 am, open to US and Canadian residents, ages 18+. To enter please use the Rafflecopter form below. Thank you! Disclaimer: AnaB Social is not responsible for sponsor prize shipment. I learned that they are made from Australian Merino wool, which is naturally anti-bacterial. I learned it's made from itch and allergy-safe Australian merino wool. i love the new spring- have known of them for a while but thought the colors were needing something fun so spring is great! I love the prints available for all their products. Especially like that they are an eco-friendly company. I learned that the Sleep Sack is AMAZING! Not only is it non-allergenic, but naturally fire proof AND it regulates the baby's body temperature, so it can be used in both winters and summers! Living in Missouri, that fact alone is a big seller. The price is a bit steep, but then I think wow it can be used for 2 years of life, longer if I have smaller children, and I think of prices of other products and it really isn't that bad at all. I like that the sacks are naturally antibacterial! The fact that they keep the baby warm in winter and cool in summer, is amazing! 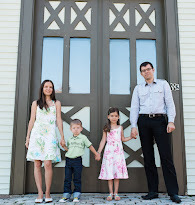 And they last a long time, til the child is around 2 years old. This would be a great gift for any child. It's good to know that this natural fiber is itch-free, considering that my kids getting hot at night (and its not even hot) under their blankets they sleep without their pj's because they sweat, and of course they don't keep their covers on at night so that becomes a challenge. I love that merino wool is a natural fire retardant! I actually just ordered a Woolino - but I would love another one. I love that they will keep my baby warm and I don't have to use anything with flame retardants. Thanks for the giveaway! I like that they are going to have pajamas. At least there is a spot for them, but nothing there yet. Great Sleep Bags! I currently have one sleep slack, super cute but I have the issue with my baby overheating in it, but without it he is too cold. Fingers crossed I get to try one of these awesome sleep sacks out. I love that it keeps babies cool in the summer and warm in the winter! I love that they are naturally antibacterial. I love the fact that it is a natural fibre and non-allergenic. I learned that these sleep bags come in one standard size that fits from 3 months to 2 years! 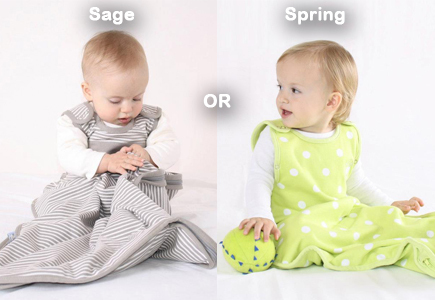 I'm entering on Eco-babyz and I love how breathable the sacks are! Unlike synthetics, merino wool provides warmth without overheating. I like that its allergy-safe Australian merino wool. I love that Woolino infant sleeping bags are made of super-fine, breathable 100% Australian merino on the inside, and pure cotton on the outside! I love that it's soft merino wool and according to the web site: "It breathes, regulates body temperature, manages moisture, it is non-allergenic, naturally fire resistant, naturally antibacterial, easy care and durable." That's awesome. Now I want one for my baby. I hope to win one of these, our kids room is just so cold. They're hands are always cold when I nurse in the middle of the night. 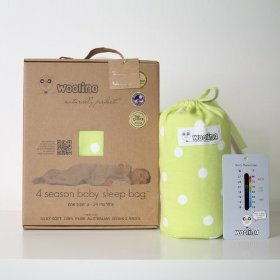 I learned that I love the Woolino 4 Season Baby Sleep Bag, 100% Natural Merino Wool Sleep Sack, One Size 3mo-2yrs, Sage! Woolino 4 Season Baby Sleep Bag, 100% Natural Merino Wool Sleep Sack, One Size 3mo-2yrs, Spring-that's what I love and I also love that it unzippers from the bottom!! Allergy-safe Australian merino wool is itch-free and the most technically advanced natural fiber in the world. I learned that they help babies grow faster and keep baby warm even while wet! I learned a lot about Merino Wool including that it "has the natural ability to create a micro-climate around baby’s skin and maintain a constant temperature around baby’s body. It will absorb and release moisture away from baby’s body to keep baby cool when it is hot, or trap and circulate warm air to keep baby warm when it is cold." Awesome! I learned it's made from allergy-safe Australian merino wool. I love that the merino wool is 100% natural. Love that they are made from "itch-free" wool.